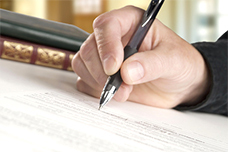 Choosing the right lawyer is an extremely important step. Availability, active listening and effective communication are a must in ensuring the best legal counsel. Our partnership is based on trust which implies a personal, close and direct contact. Our attention is constantly focused on the need to answer promptly, with rigor and efficiency, and to keep our clients informed of the evolution of their file and the procedures that have been undertaken on their behalf. In the interest of our clients, we provide maximum reactivity and availability whilst privileging a personalized contact. We guarantee contractually agreed fees. An estimated fee is suggested at the first consultation. Fees can also be the subject of a detailed estimate. The fees are freely established and vary according to the nature and the complexity of the affair. They then become the subject of an agreement that is signed by both parties. Fee set according to the time spent and based on an hourly, contractually defined rate; with each invoice indicating the time spent on the file and the list of completed tasks. Lawyers fees that are based solely on results are prohibited in France. It is however legally possible to determine a result fee if it is established as a complement of a fixed fee. The fees relative to the first consultation are fixed according to its complexity and length. In the event of a written consultation, they are payable in advance. Consultations at the law office are payable at the end of the appointment.